This little baby girls white ruffle rainbow dress Jamie will be a head turner! Made in 100% cotton. Beautifully adorned with colorful ruffles around the neckline and the bottom of the skirt, a daisy embroidered flower adorns the front of the dress. It is simply gorgeous little infant dress! 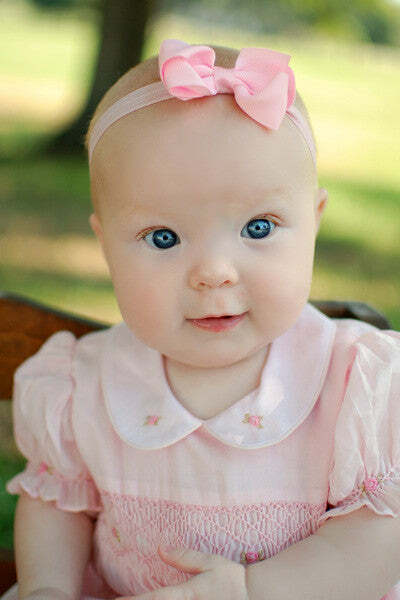 It will make gorgeous first birthday portraits. Little baby bottoms are included to cover the diapers.